I love me a nice gel manicure. They last at least 2 weeks on my nails and they are super shiny and never chip. The problem for me is the price. Around these parts, the cheapest I've found is $25 and of course that doesn't count the fact that you have to go back to the salon and pay an additional $10 for them to remove the polish for you. Of course they bait you in by offering a new regular mani for just a few bucks on top of the $10. Overall it can really add up and to be honest, I just didn't feel like going back to the salon. 1. File the top coat of nail polish a little. This is to put some scratches in the top coat of the gel polish to really let the acetone soak in. 2. 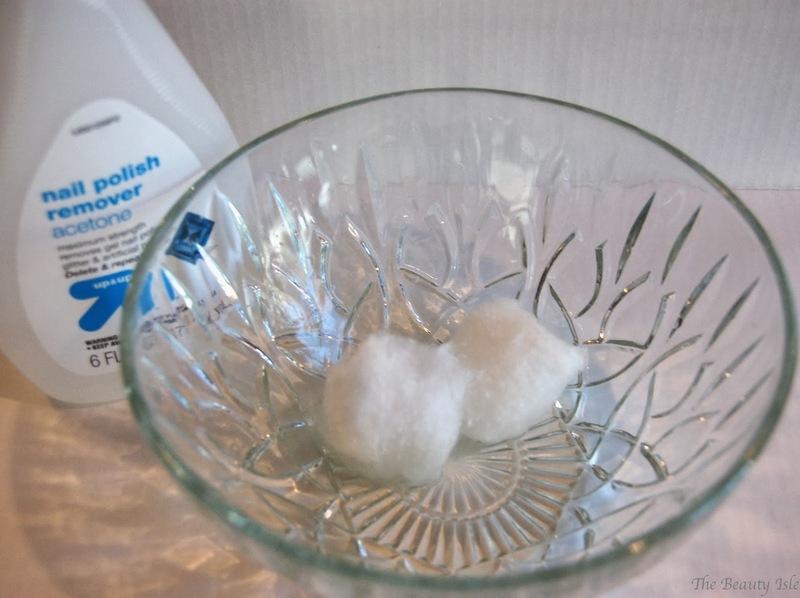 Pour some acetone into the bowl and soak the cotton balls. 3. 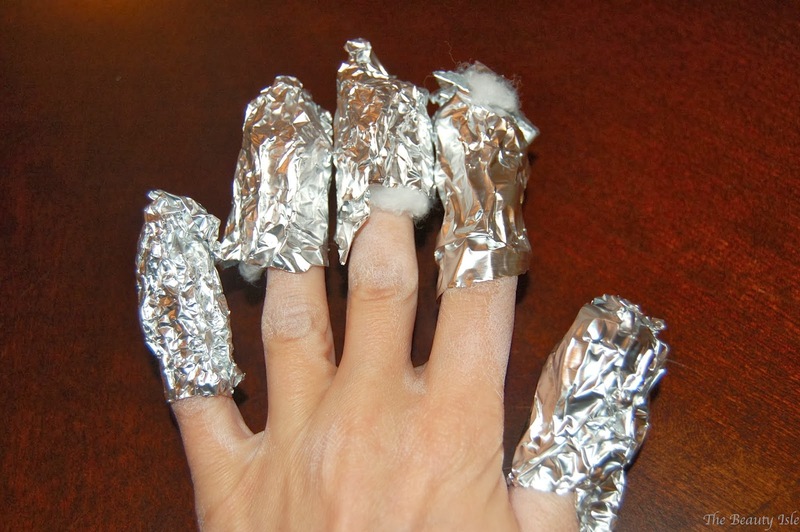 Squeeze the cotton balls so they aren't dripping wet and apply them over your nails and wrap the cotton balls in aluminum foil. 4. Wait 10-15 minutes then remove the foil and cotton. 5. 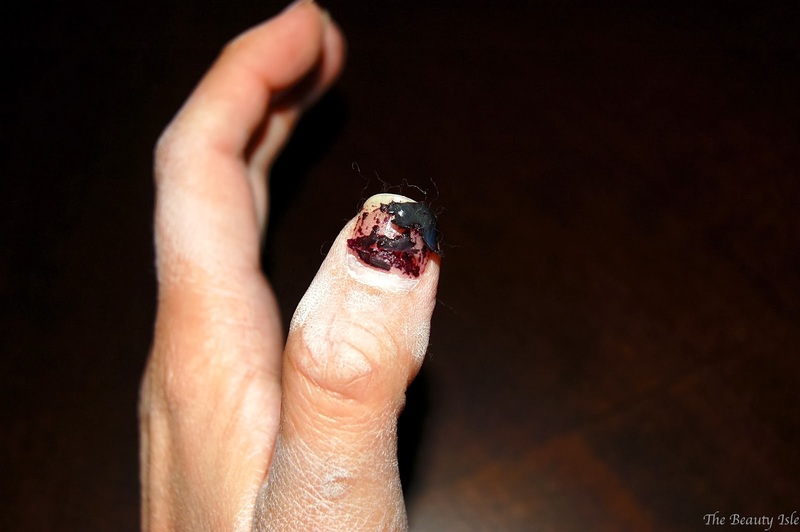 Use your other hand's nails to pick away at the peeling polish. 7. 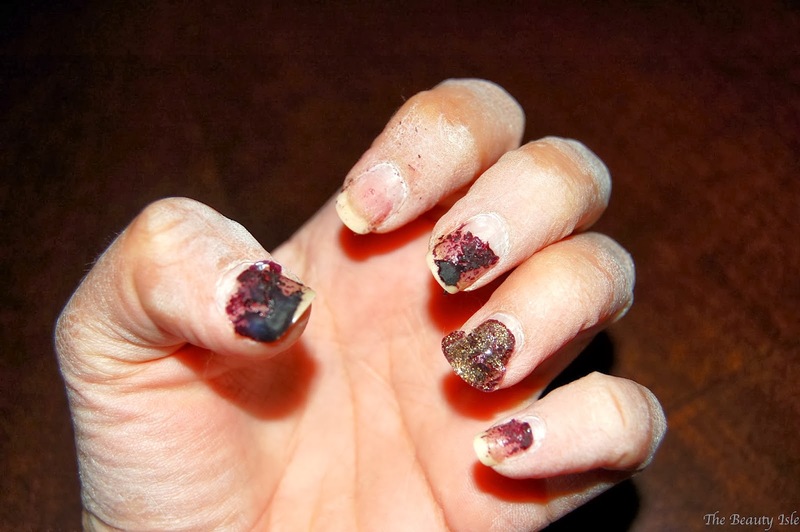 Apply hand cream and perhaps a nail strengthener if you wish. As you can see I still had little spots of polish left but that was fine with me. Overall this took me about 30 minutes but saved me a trip to the nail salon and at least 10 bucks. Hope this helped anyone considering removing their gel mani at home. Have you ever tried this procedure? I HATE taking off gel manicures! I've always just soaked my nails in acetone but this looks more convenient than sticking my hand in a dish of acetone for however long :P. Thanks for the tip! Yeah this might save your skin a little from the dryness of the acetone too. Thanks for stopping by! Oh, I'd love to know how to works out for you! 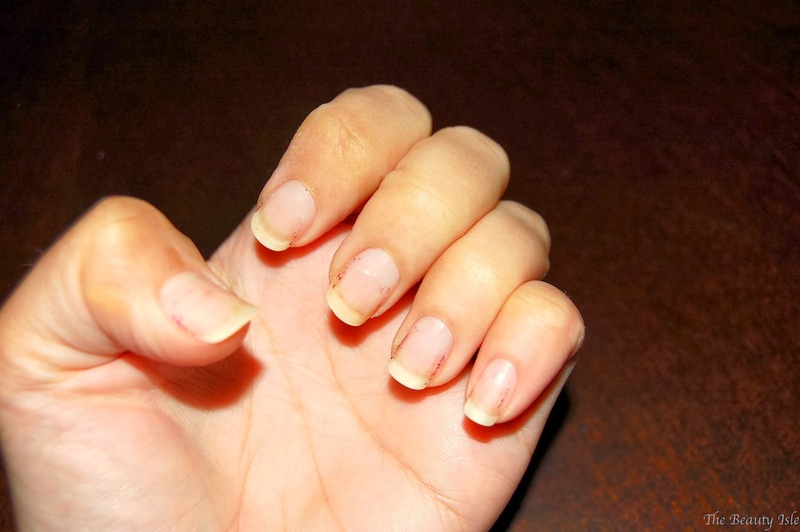 Ugh I HATE the feeling of my hair getting caught in a broken nail or chipped polish it makes my skin crawl! Thanks for visiting my blog! I have seen people use finger cots instead of foil. 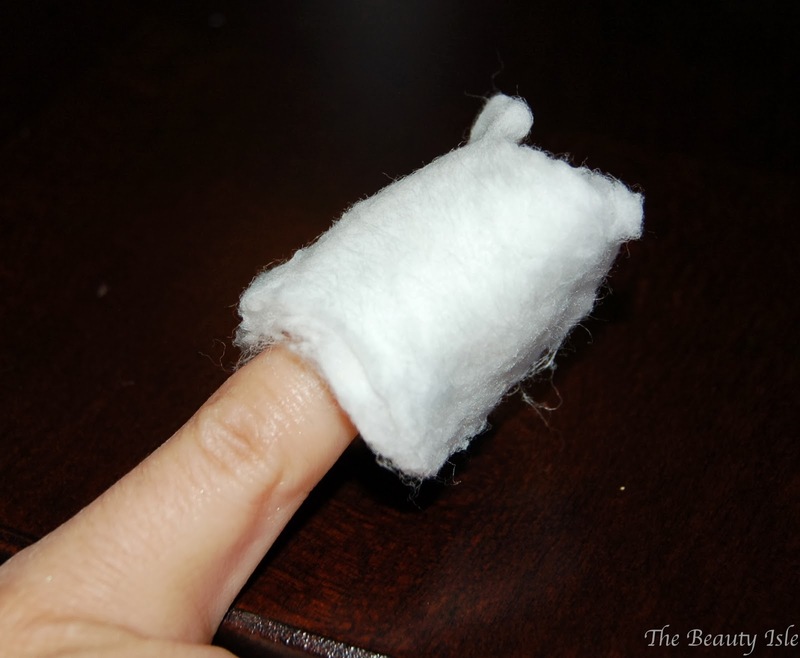 In case you are wondering finger cots are like rubber gloves for your fingertips. They go down to approximately your middle knuckle. You can buy a very large package of them for a few bucks. I don't know if they would be any easier or harder than foil. Thanks for sharing this post with us. Oh that's good to know about the finger cots, thanks! I love gel mani's and glitter...but I hardly ever do them since I hate taking them off! I know, I'm lazy! LOL! Thanks for sharing though...now I know that it can be done at home. Yup, it can totally be done at home. Ugh, I know glitter is so hard to get off too. Thanks for visiting! 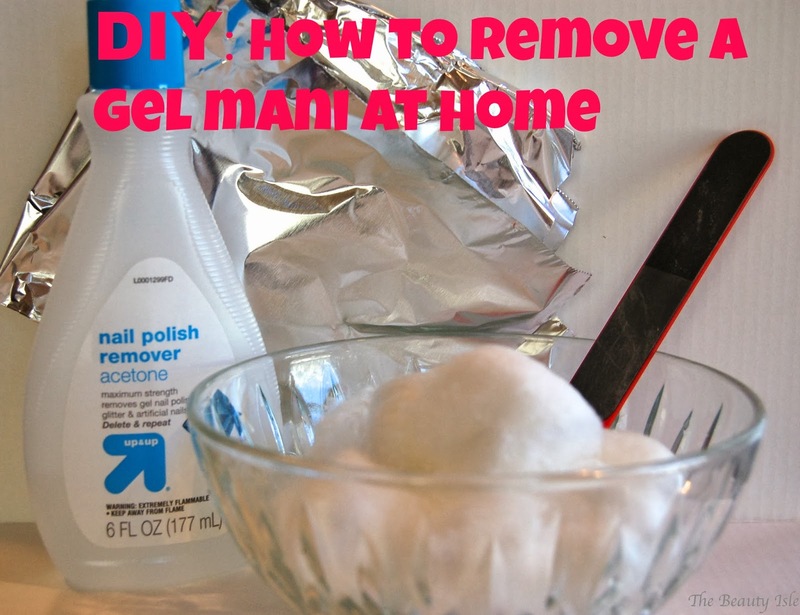 This work really well for removing acrylic nails too! Oh I've never had those but thanks for the info!